Your ship was wrecked. Crew members fall out and get lost. Your love is in danger and starving. Set fire. Clean your sword from rust. Build shelter and craft barricades. Protect yourself from dead zombie and skeletons. Hunt for animals. 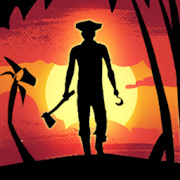 Evolve as pirate and search for hidden treasures on vast island.